What happens after graduation? This is a question that has plagued every student since time immemorial, and is also the subject of USP Productions’ latest theatrical offering, Patchwork, written by USP alumnus Lu Huiyi. 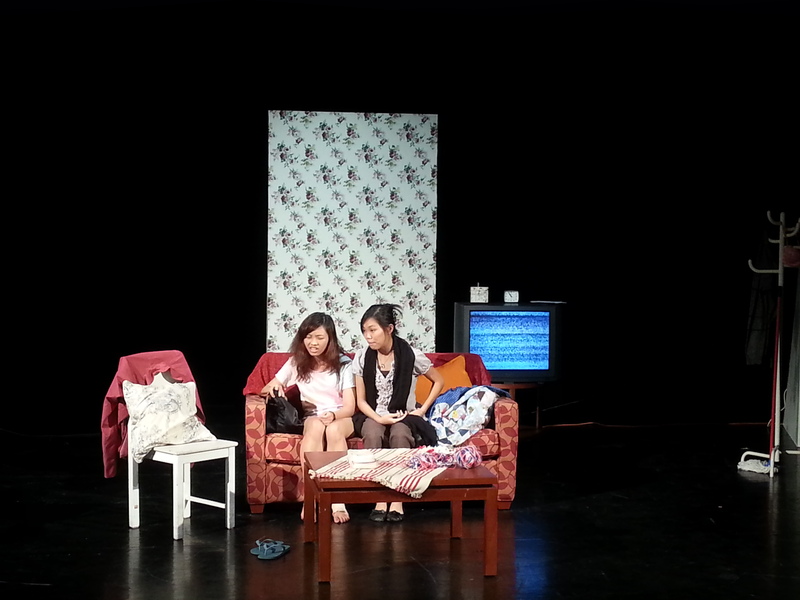 Directed by USP students Denise Khng and San Weng Kin, the play revolves around an important choice its protagonist, Madeline, makes on her graduation day and the consequences that follow – all the consequences, in fact, thanks to a three-pronged narrative that portrays alternate versions of Madeline side by side. Above: Lin Lele as the Madeline who chooses to work in an art museum. At the beginning of Patchwork, fresh university graduate Madeline is faced with three paths into the working world: teaching, working at an art museum, and becoming a self-proclaimed “unemployed slug”. The play then takes the audience through each of these possibilities in a parallel fashion, with each version of Madeline portrayed by a different actress. Reflecting these options, the set is divided into three distinct parts, marked by colour, furniture, video screens, and a uniquely-patterned wall. While the Madelines initially stay within these separated worlds, these lines blur as the play progresses, allowing for very interesting interactions between the different actresses, characters and narratives. Above: Tang Rei-En as teacher Madeline, with Leong Guo Feng as the school’s principal. The choice to have three actresses play alternate Madelines appears to have paid off – Lin Lele, Rachel Lim and Tang Rei-En each make energetic leads, effectively portraying Madeline’s ambitious, apathetic and love-struck sides as they emerge in these parallel stories. While it might be hard to reconcile these three very different actresses as playing the same person at first, the variations in their delivery barely compromise the performance; instead, they only seem to highlight how much impact a single choice can have on a person. Overall, their combined performance creates a relatable protagonist, capturing the audience’s attention as they navigate their post-graduation worlds. Above: Rachel Lim as the Madeline who chooses neither job, with Shelley Chan as Madeline’s mother. Even so, while the three Madelines each pull their own weight, they are at times outshone by their ensemble. The comedic success of many of Patchwork’s scenes rides on the ensemble’s shoulders, and they more than rise to the occasion. They juggle their multiple roles with admirable dexterity and dedication – standouts include Shelley Chan, who brings an endearing “auntie” kind of heart to the play as Madeline’s mother; and James Edgar Lim, who delivers a deliciously campy performance as museum owner Mr. Harvey. Though most of these minor characters are caricatures, they prove to have equal stage presence as that of the leads – and often more, due to their striking personalities. In fact, this plays a large part in Patchwork’s overall emotional impact. 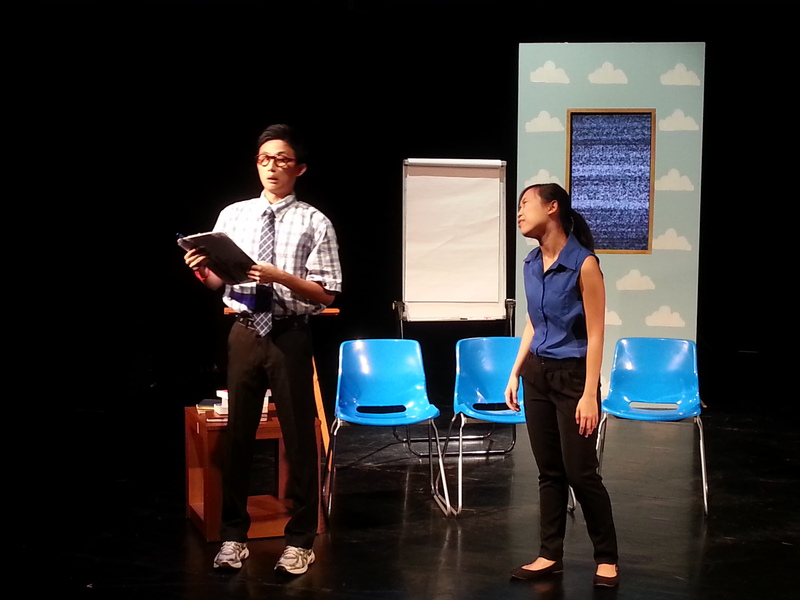 The play’s comedic sequences are executed with watertight precision, with Lu’s witty wordplay brought to the forefront. However, the comic exuberance with which Madeline’s various worlds are depicted is not matched by equal dramatic payoff in Madeline’s own character development. Though this is not always the case, her personal journey seems to take a backseat to humour at times, which becomes more apparent as the play progresses. 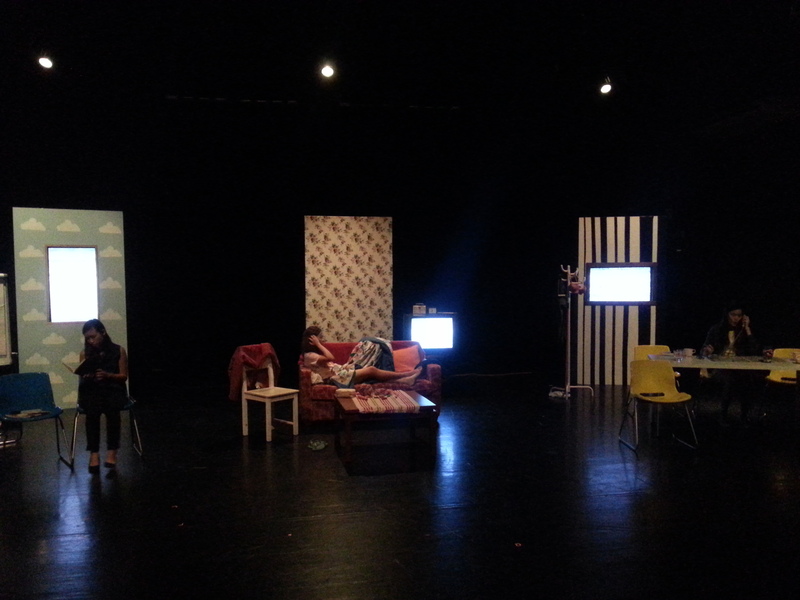 As a result, the last scenes, while adequately tying up the play’s multiple narratives, may be a tad disappointing. Nevertheless, for what it does offer, Patchwork is still largely successful and enjoyable. It doesn’t break new ground in its attempt to answer the age-old question that begins this review, but what it does say is rooted in firm soil. Its sentiments resonate, both in its tongue-in-cheek comments about education and art and its thoughtful contemplations of what it means to grow up. Overall, Patchwork is a charming, compelling production that is certainly worth a watch. Tickets for Saturday’s matinee and night shows are still available at http://www.tinyurl.com/usp-patchwork. What did you think of Patchwork? Let us know in the comments! Check out The Cinnamon Roll’s review of Patchwork here!